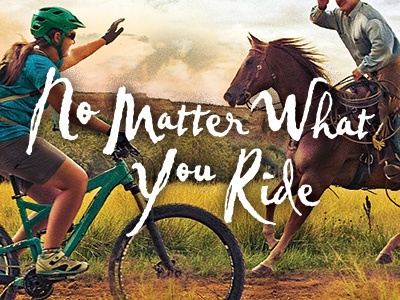 Working on an ad series for a local Hospital with the theme "No matter what you ride, we'll be there if you fall." We were able to do it all from scratch - creative direction, photo shoot & edits, and plenty of implementations in the works. This ad has lots of local appeal as we area valley 'famous' for mountain biking, orchards, vineyards, agriculture and more.